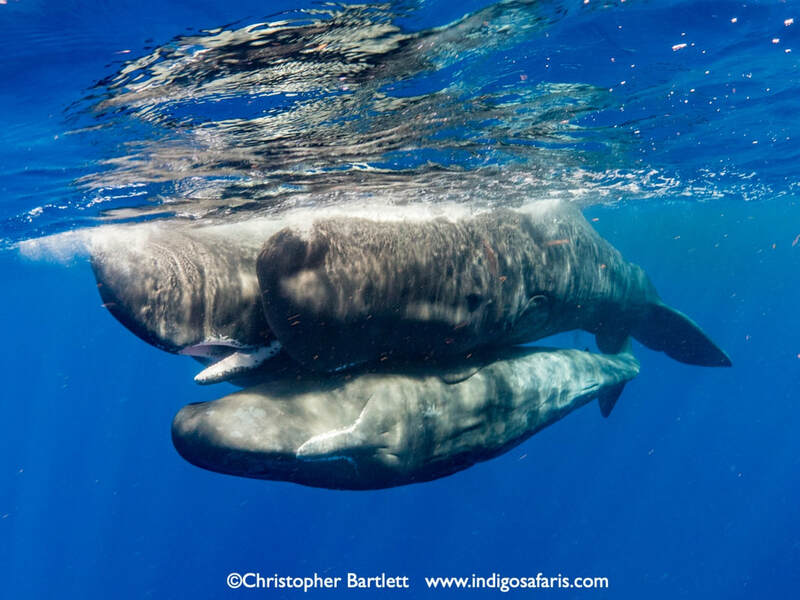 For November 2020 we have secured a permit for up to six people each permit to get up close and personal with the resident Sperm whales of Dominica, and take photographs and videos of them. Only one permit is issued at a time, so we will be the only ones in the water. We will be based in Roseau, Dominica, for five days on the ocean with a local expert whale guide, returning the comforts of either oceanfront Seaworld guesthouse or Fort Young Hotel at the end of every afternoon. Permits are getting harder and harder to to secure, this is an extremely rare opportunity to photograph these giants, at an unbeatable price. The 7-night trip includes fees, permits, breakfasts, group airport transfers, and transport for one day’s land touring. ​November is a cracking time for this. The weather is pleasantly warm at around 28C, wirhout being too hot. There are not too many tourists or cruise ships around, so there are very few other boats for dry whale watchers around, often none. Each morning we will go out and use underwater listening devices to locate whale families. Once we have successfully approached a unit, three people will slip into the water with Izzy, and move slowly towards the whales. Interaction time with one unit could last 30 seconds or 15 minutes, the whales decide. If the interaction lasts more than a few minutes, the three people in the water will swap places with the three on the boat, rotating every few minutes so everyone gets a chance to share the encounter. If the interaction is too brief to allow a switch over, the next encounter will start with the other group of three going in first. We have had interactions that range from 30 seconds to one that lasted 90 minutes. Out of five days we generally have one without a Sperm Whale sighting. We hear them on the hydrophone, but they don’t pop up. But we also see a number of other cetacean species from the boat, and the view of the island is pretty cool. The other days, we have an average of at least 20 minutes in the water each with the whales. The interactions can take place up to ten miles out to sea, which could be calm or could have some swell. You should be prepared to spend plenty of time on the boat waiting for encounters and looking out, and should also be prepared to do some swimming to approach and follow the whales. We will take packed lunches with us, and there will be hot water on board for teas and coffee. Water temperatures will be in the high 20s, and in the water you will be moving quite a lot, so no wetsuit is required. We know the island well, and can arrange extensions for you for SCUBA diving or hiking. Sperm whales form strong lifelong relationships. They babysit for each other, have family traditions passed on by grandmothers, learn a communal dialect, and have different ways of life that resemble our various cultures. They live rich, complex and interesting lives. 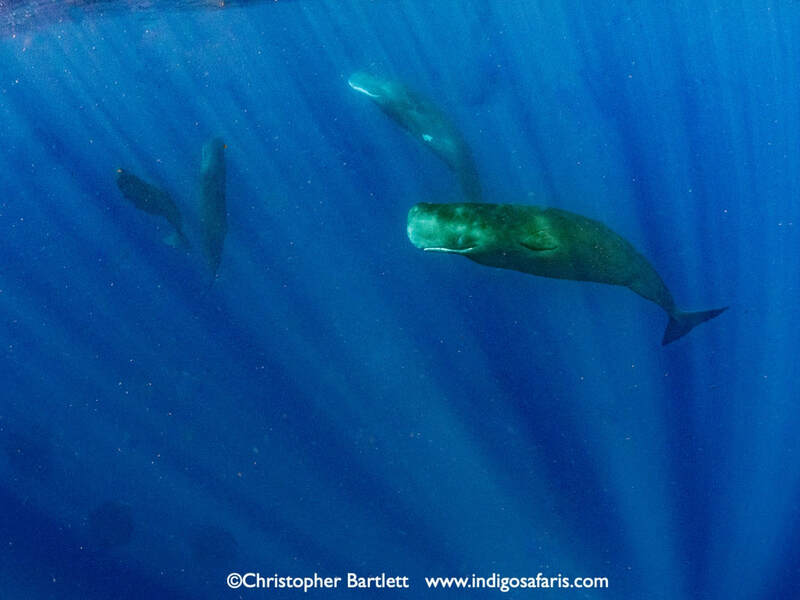 The sperm whales off Dominica are predominantly groups of females and their dependent calves living together in 'units'. In the Caribbean, these units are small, about 7 animals, and appear to be matrilineal, (a female line of grandmothers, mothers, and their calves; referred to as families). Young males leave their families in their early teens to roam the open ocean, mostly alone, and may never see their families again. Units of females and their young regularly travel across ranges spanning several islands in the Antilles, but they appear to remain in the Caribbean as these families have never be identified in the neighbouring waters of the Gulf of Mexico or the Sargasso Sea, where there is also sperm whale research. Over 20 different whale families have been identified in the waters off Dominica, and there are about 10 that are seen regularly. Based on researchers’ images, It is known that they have been using these waters since at least 1984, but likely much longer based on their life history. Sperm whales can live to be older then 70 years. Meaning they meet a lot of other whales over their lifetime. It would appear that families have preferences with each other, and these social preferences endure across decades, suggesting that individuals can remember each other despite long separations.